If you are trying to discover more about your family history, you may be able to find specific information about your relatives through researching Canadian military records and individual regiments. It may seem a bit daunting at first, and one of the reasons is because there are so many regiments. Some may not even be in existence any more. There are too many to mention them all here, but here are some of the main Canadian forces, and hopefully these will help you to get started with your research. Officially named the Royal Highland Regiment of Canada, the Black Watch are known for wearing tartans. They were formed in 1862, and they fought in both of the World Wars. Four of the soldiers were even awarded the Victoria Cross in WWI. They fought in many battles, including why Battle of the Scheld in WWII. With 70 honours, the Royal New Brunswick Regiment is the most decorated of the forces. Also called the North Shore Regiment, it was the first regiment to see action in WWI when it took part in the battle at Vimy Ridge. It also landed on Juno Beach on D-Day. The Royal Canadian Regiment was founded in 1883, making it one of the oldest military units. It fought in the Boer War, WWI and WWII, where it was involved in numerous battles in Italy. It was also involved in the Korean War, and it is now involved in Afghanistan. The Royal Highland Fusiliers of Canada were heavily involved in WWII, and they even played a role in D-Day, landing on the beach in the second and third waves. The regiment was awarded many honours during the war. The regiment is still going today, and it was recently involved in Afghanistan. The Snowbirds are well known today for their aerial stunts. But before this, they were the 431 Bomber Squadron. This was a bomber regiment that was formed during World War II, and it fought in many battles over London and further afield. It provided bomber support in the form of Wellington X heavy bombers, which were known as Wimpys, and the regiment won many honours. Known as the Princess Pats, this infantry was involved in all the campaigns of the 20th century, and it fought in Paschendale, Vimy Ridge, Juno Beach on D-Day, the Battle of Kapyong in Korea, and more. Three members of the regiment were awarded the Victoria Cross in WWI. The regiment is still going, and it has recently been involved in the battle against Al-Qaeda in Afghanistan. This is the nickname for the Royal 22nd Regiment. The name comes from ‘vingt-deuxieme’, which is French for 22. 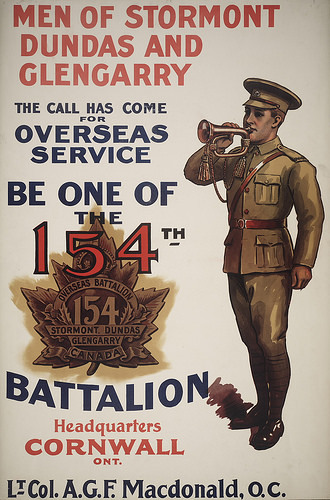 Formed in WWI, the regiment fought well in the conflict and was involved in every Canadian campaign. It is still going strong to this day. This is the oldest of the cavalry corps, dating all the way back to 1759. During WWI, the regiment was involved in a cavalry charge, which was one of the last of its kind. They were gunned down, but then fought on foot. This is not a complete list of regiments, but it is a good starting point. By finding out which regiment your relative fought with, you will have a good lead when it comes to researching their history further. War records are an excellent source of accurate information, so search for them right here on our site and see what you can uncover about your relatives.